Having a baby is never simply about the birth of your new bundle of joy; there are countless other things you need to take into account, not least making sure that the sleeping arrangements for your baby are safe, comfortable, and secure. Whether you choose a bassinet or a crib for the first few months of your baby’s life, you will need to purchase crib sheets to go alongside it, and this is an important step to get right. 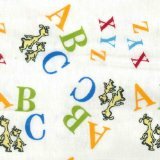 Because this can be a minefield if you have no idea where to start, consider this your guide to crib sheets – what they are, why you need them, how many you need, how to look after them, and the types you need to consider. What are crib sheets, and how many do I need? 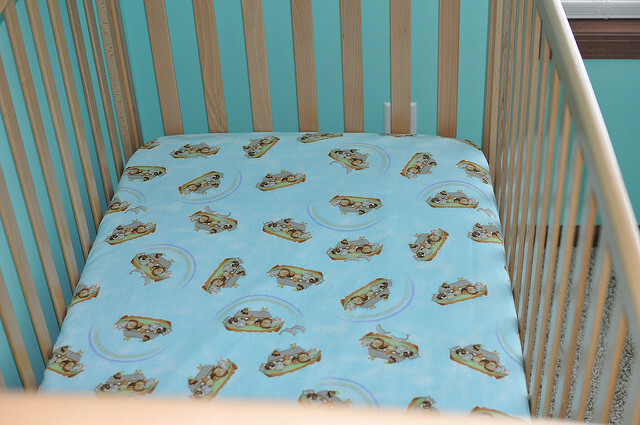 Crib sheets are the bedding sheets which sit over the top of your baby’s crib mattress. The difference between crib sheets and regular sheets is that they are obviously smaller, designed to fit a standard baby crib, without slipping free or causing safety problems, such as the possibility of the sheet coming lose and baby becoming tangled up. It’s important to buy quality sheets to avoid problems, as well as ensuring that they last you longer. Okay, so now we know what crib sheets are, how many do you need to purchase? Generally speaking, you need two sets of cribs sheets on rotation at least, one in use, and one washed and ready to go; obviously you then put the other in the wash at the end of the week, or in the event of a messy accident, and put the fresh set on the crib. Just like there are different types of sheets you put on your own bed at home, there are many different types of crib sheets too. These are generally down to the material they are made of, and it’s important to get the choice right. Crib sheets aren’t cheap, not if you want something high quality, so getting it right and choosing the right option is vitally important. Even on its most basic level, choosing the wrong kind of sheet can cause your baby an uncomfortable night’s sleep, and we know that if your baby doesn’t sleep, you don’t either. Cotton crib sheets come in many different colours and patterns, so on a totally superficial level, you can easily decorate your baby’s crib in the same colour scheme as the rest of the nursery. On a deeper level, pure cotton is possibly the best material for your baby, because it is breathable, and it allows air to circulate freely around your baby’s body. This means that cotton crib sheets are fantastic for warm weather, however they also work to keep baby warm during cooler weather too. As a general rule, cotton doesn’t pile or attract lint as easily as some other fabrics. Cotton is easy to wash, lasts for a considerable length of time, and is easily available. The downside? Cotton crib sheets can be coarse at first, which is why they need to be washed a couple of times to soften them up. On top of this, cheap cotton sheets simply don’t last, so you will need to invest in quality. Everyone wrongly assumes that polyester is a cheap material which should be avoided, but that’s not the case if you invest in quality crib sheets made of this fabric. Polyester sheets are easily available in different textures, and they are lightweight too, working to retain warmth at the same time. From a durability point of view, they are also less likely to shrink, compared to some other fabrics out there. Of course, there is a con to this, and that is in the form of poor quality polyester sheets. These don’t last too long, they will pile quite a lot, and they can feel quite coarse. Polyester sheets are not the best option for warmer weather either, as they keep the warmth inside, and can cause overheating and sweating. Flannel crib sheets are a great option for winter, because they keep warmth inside, allowing baby to stay toasty warm during the night. On top of this, flannel crib sheets are also machine washable, last quite a long time, are very durable and are easily available. Onto the downsides. Flannel crib sheets can feel coarse if you go for cheaper options, so again, in order to get the best quality, you’re going to have pay a little more. Possibly the most expensive crib sheets you can buy, but arguably the best. Organic crib sheets are made of 100% organic cotton material, made using eco-friendly materials and dyes and are certified by the Global Organic Textile Standard. This all basically means that they are thick, comfortable, and high quality. The downside is obviously the cost, but this is a case of you get what you pay for. In order to find the best crib sheets for your baby, you need to know exactly what you’re looking for, how to look after them, and how to store them. What should I look for when buying crib sheets? You might be wondering what a thread count and weave is, but this is something you need to understand and look out for, because it screams quality; quality is obviously what we’re looking for. Thread count – Basically, the higher the thread count, the better the quality. This is the amount of thread which was used during manufacturing, per one square inch of the fabric. A higher thread count means a heavier and better quality crib sheet. Avoid sheets which have a less than 200 thread count, and aim for 300 or 400 plus instead. Weave – The weave explains how the threads of a crib sheet are sewn to form the actual sheet overall. You will see standard weave quite commonly, and this means the threads are formed in a one stitch under and one over form. This is the most common and most long-lasting weave you should be on the look out for. You can also find sateen weave, and this is a four over and one under stitch pattern. Whist this might sound better, it’s not, because a sateen weave doesn’t last as long. 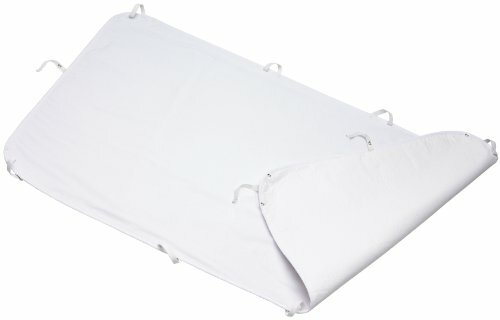 Should I go for a fitted or non-fitted crib sheet? A fitted crib sheet is basically what it says on the tin – it is fitted to your baby’s crib mattress and is secure to avoid slippages. A non-fitted sheet is not secured against the mattress. You should avoid these sheets and always stick to fitted crib sheets, to keep your baby safe and healthy. How do I look after my crib sheets? Crib sheets should be washed after purchase, to get rid of any excess dye, and following that they should always be washed according to instructions. As a general rule, wash them once per week, unless there is a messy accident, in which case change immediately and wash. You should store sheets in a cupboard or closet, airing them regularly, and always replace if you see signs of damage, such as fraying. These crib sheets are 100% organic cotton, which we now know is the best you can get; also certified to meet Global Organic Textile Standard (GOTS). Available in many different colours and patterns, this sheet will fit a standard crib, with a 400g interlock – again, we know this means quality, and eco-friendly dyes are used to further reinforce its standard. You certainly get what you pay for with this particular choice, with a heavy, quality feel to the sheets. These are also easy to wash, and will last for a considerable time – this makes them a great investment. If you want fashionable colours and patterns, as well as quality in terms of the best crib sheets around, then this is a great choice. 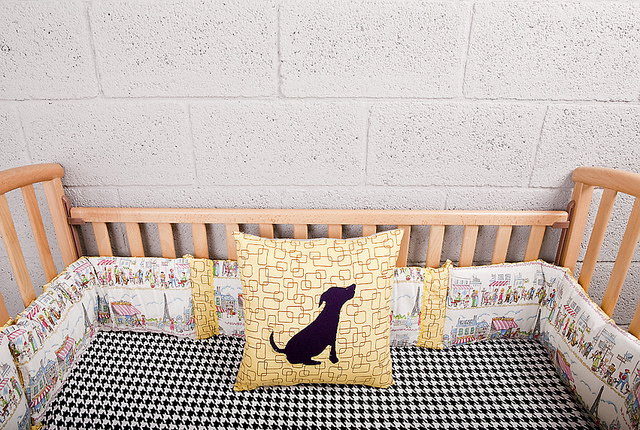 Made from 100% cotton, which we have explained is great for both warm and cold weather, as a breathable fabric, this is a flannel fitted crib sheet, which secures against the mattress with 10” deep pockets – very little chance of the sheet displacing. Again, machine washable means it is easy to look after, and the fact it will last for a considerable length of time makes it the ideal choice for your purchase. This is an innovative choice, and one which offers total safety and security for your baby whilst they are sleeping in their crib. 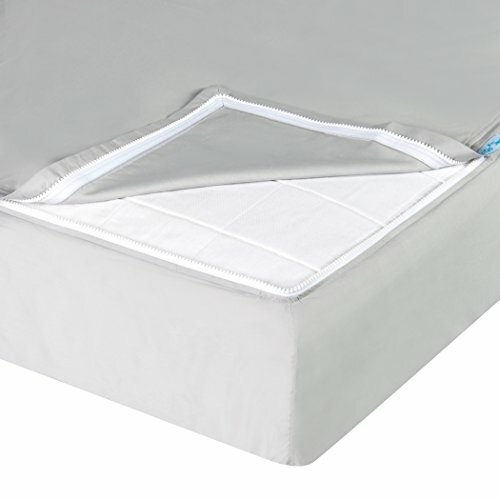 Made from 100% cotton, this is a two-piece system which doesn’t slip and is very easy to use – you basically don’t need to struggle to put the sheet on securely anymore, because the mattress is placed into the base, and then the sheet is zipped off, meaning you don’t need to force the sheet on. The plus is the safety side of it, the downside is that it is only available in light pastel colours, and no patterns, but you need to weigh up the pros and cons, to decide whether that is important to you. We hope this helps you find the best crib sheets for your baby!